Land surveys are necessary for a wide variety of reasons. 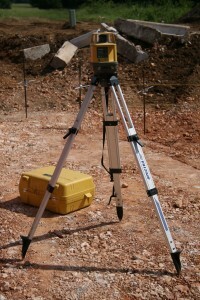 If you’re in Las Cruces and in need of a land survey, Land-Mark Professional Surveyors can help. Our team offers the most common and necessary surveys. We have the experience and expertise necessary to provide exactly what you need. What do Land-Mark Professional Surveyors Provide? Las Cruces, New Mexico is a beautiful city with a lot of open land. If you’re gearing up to buy land or you already own land, you need to get a land survey before breaking ground. Land surveys are incredibly important because they allow you to know exactly where your boundaries lie. Not getting a land survey in Las Cruces can result in catastrophe. Avoid any serious issues and hire the trustworthy land surveying team at Land-Mark Professional Surveyors. Since we offer all the available and legal surveys, you will be able to rest easy before breaking ground on any new project. Boundaries are important, especially in this modern age of enterprise and ingenuity. With land surveys, you can learn exactly where your boundaries lie as well as other important information such as the location of gas lines. With this knowledge, you’ll be able to follow your dreams and use your land as you intend to use it, avoiding any issues with land disputes or boundary troubles. At Land-Mark Professional Surveyors, we strive to give our clients the best all-encompassing service. For this reason, we offer ATLA, boundary, topographic, state land, improvement, above ground and underground mining surveys. In addition to this, we make use of the most advanced equipment and software available in order to yield the most accurate and complete results. When you’re dealing with boundaries and surveys, accuracy is key. Land-Mark Professional Surveyors is devoted to Las Cruces, El Paso, and Odessa. We have made it our goal to offer the best services in the Southwest. Our qualified team has surveyed many properties since we first opened for business in 1991 and we’ve been going strong ever since. Without a reliable land survey, you might face serious financial and legal issues in the future. If you’re looking to tap into Las Cruces’ growing market and you’ve purchased or plan on purchasing land, contact us. The Land-Mark Professional Surveyors team will help you get started on the right foot. Contact us today to learn more about our services in Las Cruces.